For close to two years, in a weekly Torah class, Rav Shimon Schwab zt"l turned his legendary brilliance and eloquence to Sefer Ezra and Nechemiah. 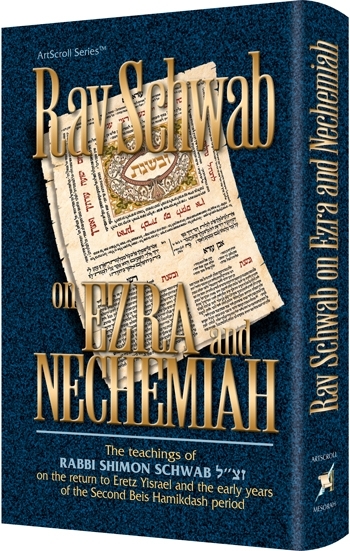 The erudite and beloved Rav of K'hal Adas Yeshurun, one of the foremost Torah scholars of his day, used the insights of the Sages and Torah commentators to place the story in historical context and to highlight its ethical and moral teachings. 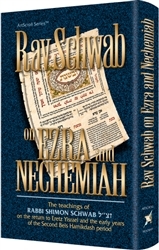 Rav Schwab's eldest son, Rabbi Moshe Schwab, has adapted these lectures in a fascinating and illuminating verse-by-verse commentary.